You can learn to take better digital photos! 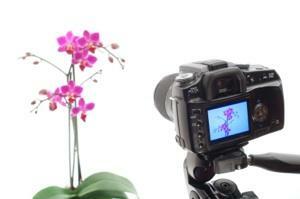 Are you looking for digital photography tutorials and lessons? There is a great deal of training available online, and there are probably a few classroom opportunities in your neighborhood, too. The Internet is a great place to learn the art and craft of photography. Whether you're looking for free or paid instruction, help is just a few clicks away. Perhaps the easiest way to learn digital photography is to search the Internet for free tutorials. The quality of free training materials can vary, so make sure you find a reputable site that will give you good advice. Cambridge in Colour has some amazing free tutorials available on their site. These lessons cover both basic and advanced material, and their easy to understand format will appeal to even first time photographers. Photo.net has a huge listing of online tutorials to choose from. While many are geared towards photography in general, these lessons will greatly improve your digital photography skills as well. Photoxels lists a handful of basic, easy to follow tutorials on topics such as exposure, aperture, and digital noise. DP Tutorials offers some good tips for beginning digital photographers that will teach you the basics of shooting great photos. Better Photo offers many different levels of instruction depending on your skill level and what you want to learn. Classes range from four to eight weeks, and cover such topics as high dynamic range (HDR) photography, storytelling nature photos, and portfolio development. The New York Institute of Photography has been around for almost 100 years and has earned a solid reputation in the field. With advanced learning materials and audio lessons by professionals, NYIP offers a comprehensive solution for those not living near an art school. One of their more popular courses, A Complete Course in Digital Photography: Adobe Photoshop for Photographers, is particularly useful for those interested in advancing their digital photography knowledge. Stare Photography offers a cheaper alternative to the more extensive online photography classes, but will still teach you a great deal about the craft of photography and how to navigate a photo shoot with skill and grace. There are many things to learn about digital photography. Besides online tutorials, you can also learn digital photography hands-on in the classroom. These days there are photo classes available everywhere, from local community centers to full time art schools. Check the listings for your local community college or neighborhood adult learning program for an assortment of courses. Often, you will find such interesting options as outdoor photography, travel photography, pet photography, and more! Brooks Institute, located in Santa Barbara, California, is one of the top photography schools in the country. The Academy of Art in San Francisco is known for having a top-notch photography program. Art Institute International has award-winning art schools located all over the country. Locations include Seattle, Chicago, San Francisco, and New York. The Art Institute Pittsburg offers online classes.